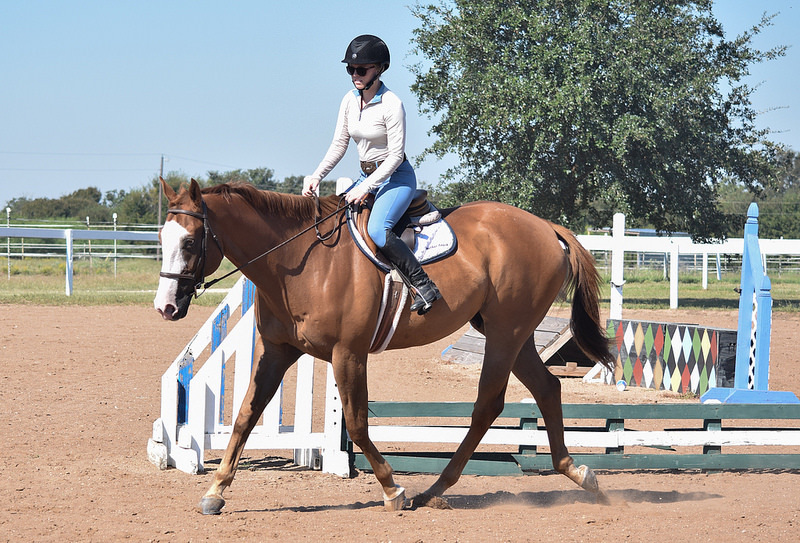 For a supposed horse blog, I sure haven’t been writing much about the horses lately. Mostly it’s because emotionally I’m not in a spot right now where I’m super into the horses. That sounds worse than it is, but before you picture my two tossed aside in a dusty field… I can assure you that they’re both fine. 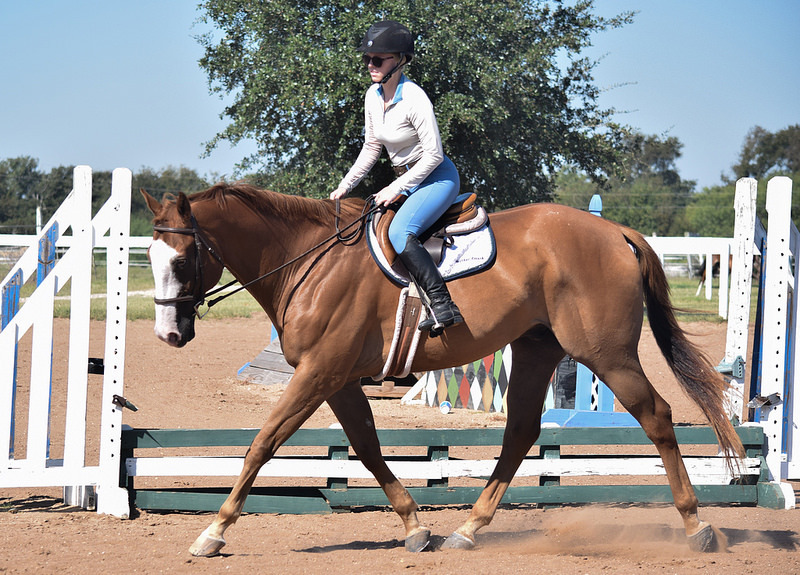 I ride Roman between two to three days a week, which is certainly less than I’m used to going to the barn but a pace that works for us right now. My trainer does him at least once a week to keep everything sharp, and I’ve got great barn friends who help me on other days. Simon continues to be his rock star self with his leasee. 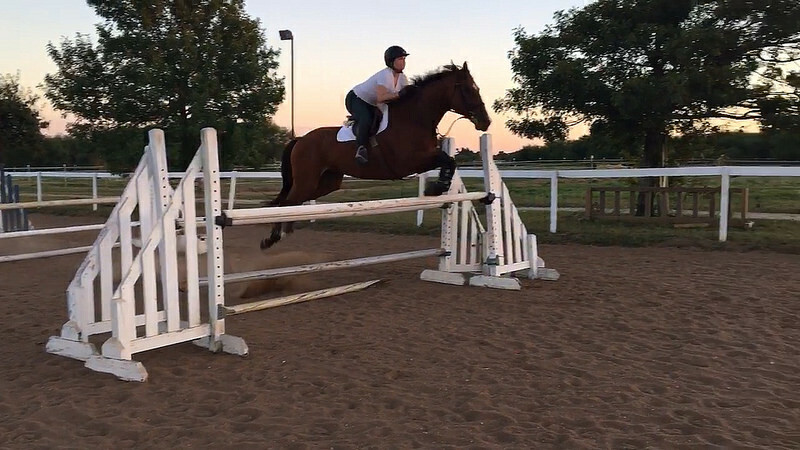 The other night I got a text from multiple people about the jumper grid lesson that happened, excitedly telling me that Simon jumped 3’9″ in a gymnastic. Being the crazed horse mom that I am, I immediately texted my trainer “pics or it didn’t happen” and was rewarded with media. The other day after I rode Roman, I went up to Simon’s stall with a handfull of treats. When he heard me walking down the hallway to his stall and my Siiiimon! Hiiii! voice, he turned to whicker to me like he always does. After the treats had been dispensed and my arm had been licked thoroughly, he hung his head over the stall door and leaned his neck towards me so I would scratch juuuuust the right spot. I dug my nails into his crest, and watched his head tilt sideways with his bottom lip flopping. Just like that, my heart became full again. He loves you YEAH YEAH YEAH! Look at Simon with his big boy jumping britches on! And he still remembers and adores his mom. Roman is looking like a different horse. You’ll find a buyer for him, no doubt! Both the boys look great! Definitely always do what works best for you. I’m sure Roman will find His People soon! so glad to see all the boys doing so well! Wow,go Simon! 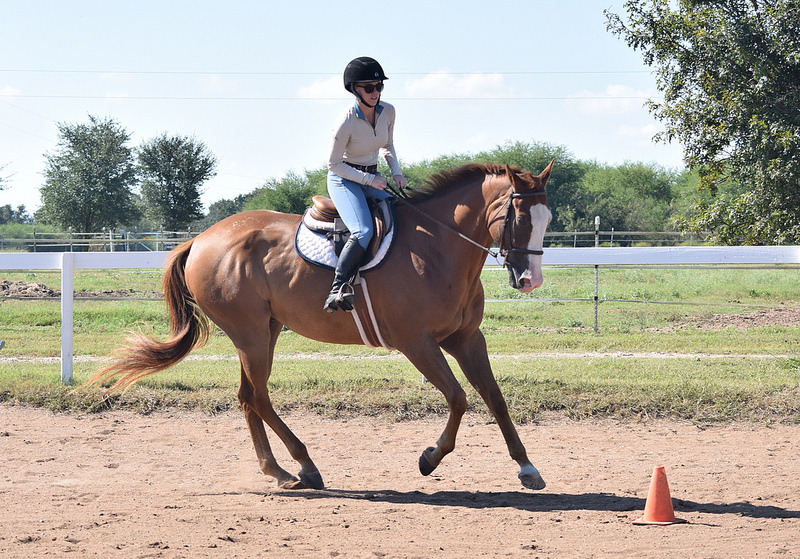 Having others try your horse is hard, even if not super emotionally attached, it’s a roller coaster. Hope the right person comes around soon. Simon looks like he’s concentrating SO HARD! What a good boy! 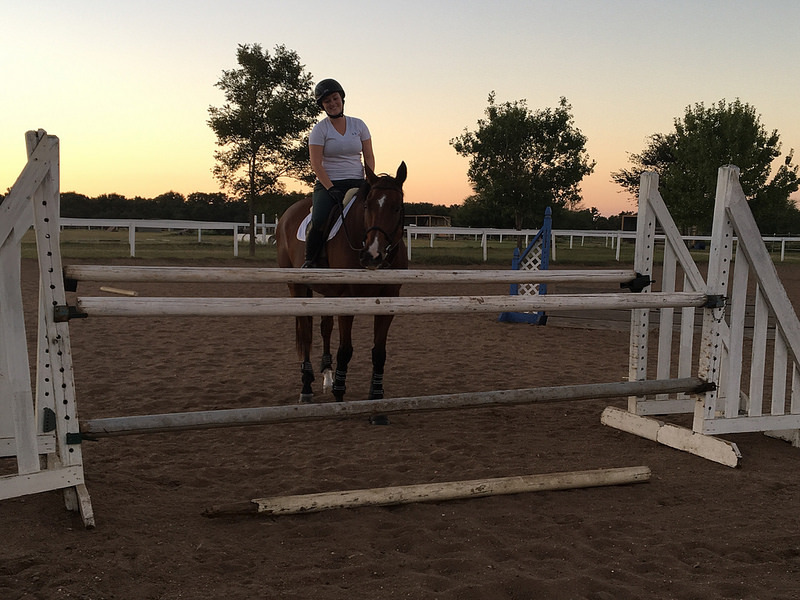 Does Roman want to be a foxhunter? I absolutely think Roman could make a great fox hunter. He certainly has no issues with dogs running/being around him. Roman could totally do that! He’d be so fun to ride on a hunt with his big, rolling canter. They both look great and it sounds like they’re doing well. You post as you see fit. You deserve to be happy. Sweet geldings will always be #1 in my book. Both of your boys are looking fabulous. Glad both boys are doing well! They both looks fantastic! I’m so glad things are falling into place for you. Roman sounds wonderful, and I’m confident he’ll find the right mom soon. No spooking is a very attractive feature! Woohoo Simon for jumping the big jumps! Go, Simon, Go!! So fun and impressive! That’s an awesome jump. I’m glad to hear they’re both doing so well. Hot damn. Simon as fantabulous. Beautiful horses! I miss jumping. I used to ride in high school, but haven’t had much opportunity since then. Hope Roman finds his perfect someone to take him home. What a sweet post. To sail over a jump…what magic. And to have your guy snuggle with you in the barn…that took my breath away with happiness. Holy cow, is Simon CUTE. I passed Roman on to a teenaged eventer who is looking! She’d be lucky to find such a cutie!